The Museum of Korean Emigration History is the first museum about emigration history in Korea. This museum was established in 2003, which was the 100th anniversary of Korean emigration to the United States. 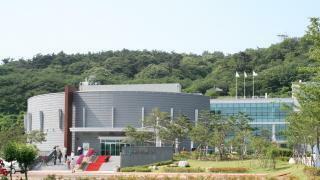 The museum has four permanent exhibition halls about emigration history of Korea and Incheon, and special exhibition halls where short-term exhibition related with emigration history. The opening hours are 9:00~18:00. The entrance are permitted until 17:30. The regular holidays are every Monday, January 1st, and the next days of national holidays.